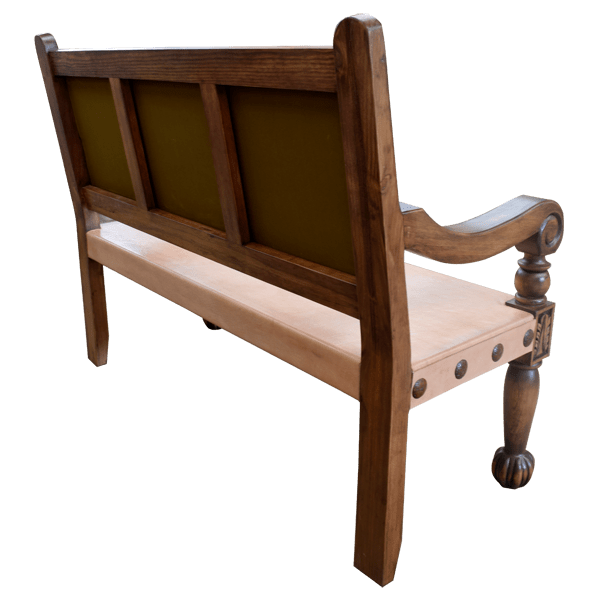 With its graceful design this handcrafted, Spanish colonial style bench will be a wonderful complement to any space. 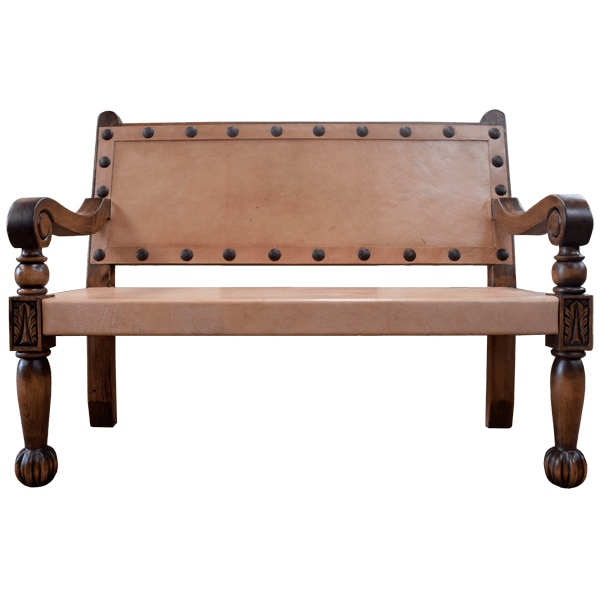 The seatback is covered in natural, rawhide leather, and the upholstery is intermittently hand tacked to the solid wood frame with large, hand forged, iron nails. 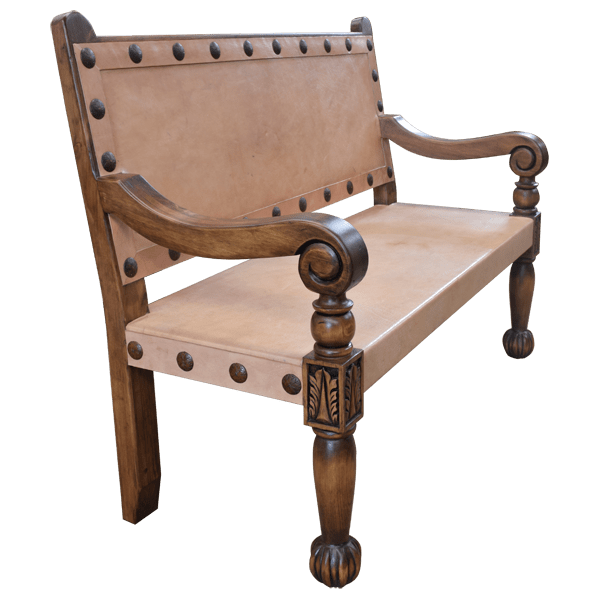 The wide seat is also covered in rawhide, and it is accompanied on each side with solid wood, colonial style, scrolled armrest. The bench is supported by beautiful, hand turned, front legs, and slightly curved, back legs. The legs rest on fluted, hand turned, ball style feet. It is made with the best, sustainable, solid wood available, and it is 100% customizable.